We want to start this week’s post off on an non-golf related topic. McGladrey sends their deepest condolences to those affected by the tornadoes in Moore, Oklahoma this past Monday (May 20). We hope everyone stays safe and comes together in these times of need. Team McGladrey Member Zach Johnson is down at the Crowne Plaza at Colonial this week to defend his 2012 title. Zach is joined by fellow member Davis Love III who his making his second appearance since his surgery in February. Zach is in group no. 15 which teed off at 7:33 AM on Thursday morning and Davis is in group no. 27 which teed at 12:33 PM (May 23). With Zach being Colonial’s 2012 champion, there has been quite a few feature articles written about him. The PGA TOUR released an article about the difficulty of the Colonial course however it’s clear that this is a course that Zach excels on. Also, if Zach is to win this event, he will be the only other person, besides Ben Hogan, to win back-to-back at Colonial! Not too shabby of company! Check out the PGA TOUR’s Memorable Moments from the Crowne Plaza Invitational. 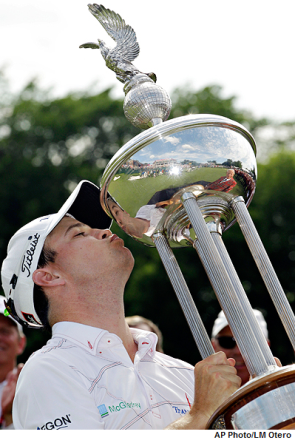 Zach Johnson is featured for his 2010 win! The McGladrey Classic is featuring a special this week to celebrate our fourth year of our tournament. If you purchase 3 Good Any One Day Tickets, you’ll get a 4th ticket FREE! This offer ends May 27 so don’t wait too long or this great deal will pass! Buy here now. The McGladrey Classic also released this month’s Volunteer Spotlight. Featuring this month is Larry Kemper from Macon, Georgia. Larry has volunteered on both the Marshal and Supply Distribution Committees. Click here to read the conversation with Larry. 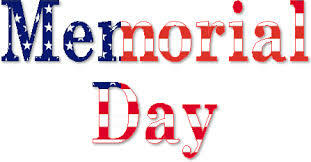 We hope everyone has a wonderful and safe Memorial Day weekend.